Aston Martin seems to think that, largely, the business, sale and naming of electric cars is a confusing matter. So, it’s going about things a bit differently by possibly just creating a standalone electric brand for itself. 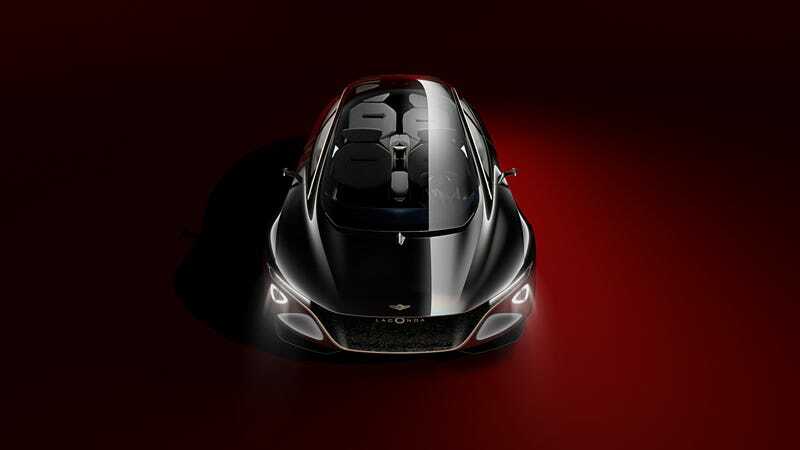 The company showed off the Lagonda Vision Concept at this year’s Geneva Motor Show as a design study for upcoming models. Yet, Auto Express has reason to believe that the Lagonda won’t just be a model, it’ll be Aston Martin’s standalone electric car brand. And that the first of the Lagonda brand will be an SUV called the Varekai. “Just being one car in a range doesn’t make a statement, while saying ‘this brand is electric’ and pinning your hopes and prayers on that technology, I think is a more powerful statement that’s easier for the consumer to understand. If that’s what winds up happening, then it would certainly be less confusing than, say, the Honda Clarity, which is only an electric car when Honda says it is. Aston Martin definitely taking a leaf out of Tesla’s book. When you see a Tesla, you know it’s an electric car. People who see Nissan Leafs might not know they are EVs. What’s the advantage to this? Snobbery, obviously. But in all seriousness, having a unified electric brand makes it easier for buyers to distinguish their options. They might not know that electric car options are available. It keeps all of those cars in one place, so you don’t get weird choices within one model, like the Clarity. An electric SUV doesn’t excite me much, but once that’s out of the way, maybe we can hope for something small and fun? And sporty?